Are you ready to turn your passion into a profitable business? As nonfiction authors, publishers, and internet entrepreneurs with nearly three decades of combined industry experience, we have walked in your shoes and understand your unique goals and challenges. We also have the experience to show you how to produce your nonfiction book in the most professional way possible, while you turn your passion into a profitable business. Whether you’re writing self-development, business, memoir, how-to, spiritual, narrative, or other nonfiction book, this authoritative guide by experienced industry professionals will provide you with the details you need to achieve your publishing goals. Stephanie Chandler is the author of several books including The Nonfiction Book Marketing Plan. 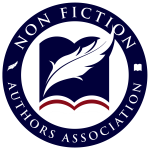 She is the founder and CEO of NonfictionAuthorsAssociation.com and NonfictionWritersConference.com, and a frequent speaker at writers’ conferences and events. Karl W. Palachuk is the author of several books including Relax, Focus, Succeed. He is also a consultant to IT consultants and a frequent blogger at RelaxFocusSucceed.com and SmallBizThoughts.com. Download the PDF version today! Purchase The Nonfiction Book Publishing Plan in PDF format–available for immediate download! Purchase The Nonfiction Book Publishing Plan in PDF format AND The Nonfiction Book Marketing Plan in PDF format–both available for immediate download!